State of Concept presents the solo exhibition of Swedish artist Petra Bauer on the 28th of September at 8pm. The exhibition is the third part of “State Affairs” Folder #003, which is the new exhibition chapter of our programme, that commenced in November 2017 with artist Anton Vidokle. “State Affairs” is dedicated to artists that work mainly with video, and presents artistic practices that focus on thematics that are being narrated gradually through several artworks and a longer timespan and are distinguished for their interest in shedding light in historical conditions and how they affect contemporaneity. The programme aims to address directly current affairs, predicaments, problematics and cul-de-sacs of contemporary living, by summoning the past. One of the most prominent artists from Sweden, Petra Bauer has for long been unfolding the powerful legacies but also realities of the women’s movement. She is an artist, filmmaker and professor in art at the Royal Institute of Art in Stockholm. Bauer is interested in the medium of film as a political tool that can be used to challenge contemporary social and political events and processes. Much of her work focuses on how women have collectively self-organised, within and beyond art, with an aim to change political and social structures as well as everyday life. Another recurrent theme that the artist addresses is the materialisation and consequences of the colonial world order on our present time. 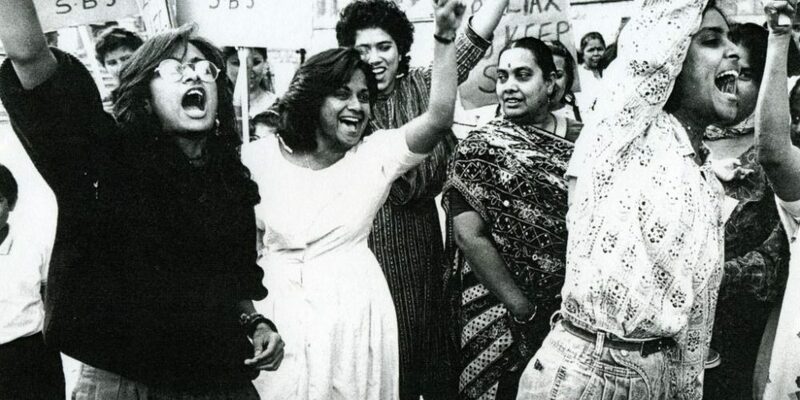 Her works are often made in collaboration with existing social and political organisations, such as the Southall Black Sisters (SBS) – the radical, pioneering London-based feminist organisation, who since 1979 have politically engaged in the contemporary social and political conditions of black and minority women. Recent projects include And all is yet to be done: Grammar of feminist organizing (2018), k.ö.k (ongoing) and Workers!(2018). Her work has been presented at festivals and exhibitions internationally. For the exhibition the artist will present three of her previous works including the films Der Fall Joseph (2003), Sisters! (2011) and Choreography for the Giants (2013 – 2015).